Welcome to our humble website, we hope you enjoy your visit! We write all the content on this website and it takes a lot of effort. We hope you find this content useful however (unless expressly permitted by our Terms and Conditions) if you would like to reuse our material, please contact us so we can discuss the terms under which you can do so. Without this prior written consent, we do not permit you to copy, modify, store, transmit, publish or distribute the content on this web site. We do not permit you to use html frames (or any other similar technology) to serve content hosted on this website. The logos on this website must not be used or modified in any way without the prior written consent of TechSolvers. This web site contains links to third party websites. We do our best to keep our content and links up to date but if you spot a problem, please do send us a message via the contact form. The links are provided as a convenience only and do not constitute endorsement or sponsorship or approval of these websites. TechSolvers are not responsible for the privacy practices of other websites. 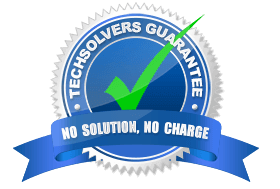 TechSolvers does not guarantee the availability of this website and we will not be liable if the website is unavailable to you for any reason. Whilst we have implemented secure connectivity via Secure Socket Layer protocols (for those who choose to use it and we suggest you should), we cannot guarantee the security or confidentiality of these communications.